Our MegaPeel EX® is FDA approved and is an ideal treatment to bring about a fresh glow to the face. A cosmetic procedure in which a very thin layer of facial skin is abraded with a high pressure spray of crystals in order to diminish the appearance of fine wrinkles, discoloration, scars, and other blemishes. 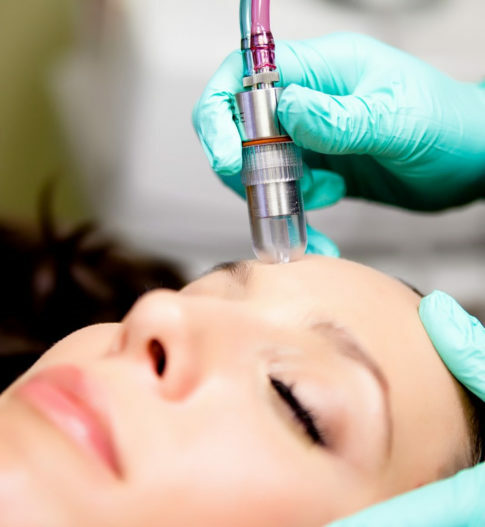 Microdermabrasion is a non-chemical, non-invasive physical exfoliating procedure. It’s performed with a handheld device that gently removes the top layer of the skin. Microdermabrasion reduces the pigment changes that are common on the face and neck. This process helps speed up cell turnover and reveals healthy, youthful skin. The handheld microdermabrasion wand uses superfine crystals that physically slough away dead skin cells while light suction is applied to immediately vacuum up the dull cells and crystals. Our licensed skin care professional will lightly rub the device over the skin, retracing the problem areas several times. Many patients see results shortly after treatment. May cause some mild skin irritation or redness.